In the old days, it used to be, “Man, if we could just get on the radio, we will break out and sell a ton.” Then you got that radio spin or add on a college or major station, and… (insert Price is Right Fail Horns). Nothing really happened. Not for most. Not for those who didn’t have a national radio campaign with an ad buy. Sure, you could add the news to your bio, but many of you know the reality – no big increase in fans, tickets, or music sales. Why? Well, who was listening at the exact time your song was played? Did the DJ get your band name correct, did they tell everyone where to get more info? Probably not. Then streaming came along, and the new way was to get on every service. Now it didn’t matter ‘when’ a song was played; it ‘could’ be played simultaneously by millions of people at any time. It was there, on your profile, waiting for the newest fan to discover it. But there’s another problem. In a world with 30 million+ digital songs available, how could yours be found? Enter playlists. The game changes again. Now, if a fan playlists you, their friends see it, play it, and might add it, and so on. Even better, you hit one of the tastemaker playlists that has millions of more followers than you, and bam, you got a hit! But then we find out that songs are being sponsored, major labels are paying for inclusion into platform-produced playlists, and the chances of your independent project organically getting in is suddenly diminished. We’re starting to see that the key to music streaming is multiplication. Much like in the early days of YouTube, the real secret is not your own following, but multiplying it by the number of other people who share your song. But all of that is still feels kind of analog. There’s no social to it. It’s just a play on someone’s phone. So, what if we could combine the cool things about radio (context, artist info, intros, call-ins) and combine it with Spotify streaming playlists in a beautiful interface on your mobile? And what if your project was front and center on that station along with other killer songs? Well, Stationhead has done just that. Co-founded by Ryan Star and Jace Kay in NYC, Stationhead has been making waves within the music industry with their slick new “pirate-radio” app (available on iOS). Two of our favorites around here, PledgeMusic’s Benji Rogers and E Street Guitarist and Sopranos dude Steven Van Zandt, are counted among its many heavyweight industry advisors. Here’s how it works. Sign in to Spotify, download the app (see our invite code below), start a own 24/7 radio station using Spotify playlists (other platforms to be added later) and broadcast it to the world live, including speaking in-between songs, or even taking call-ins to talk about the music. The station stays active even when you’re not on the app, and there is an “ON” button to alert your fans when you are live. There is also a chat function built in for people to give feedback or kudos on what’s being played, and of course, a community follow button to build a Stationhead tribe. Why should a band or artist do this? This is the opportunity for you to engage with your fans socially around music – yours and your favorites by others. That’s the goal, right? Stop spamming Twitter with links, take a break from IG’ing pics from stage left, snapping your 10 seconds of “about to go on stage!”, and actually engage in conversations about the music itself. Think about that, you telling stories about your songs, how they were written, where they were recorded, and then playing the song. Informing people about upcoming tour dates or new merch. Debut a new song demo or two, invite your fans to chat or call-in and discuss them. Mix it up with playing other bands’ music that you love and talk about their influence on you. Pimp out your friend’s project that needs some love. Hell, just talk about everyday life and what’s interesting to you and then play a song reflecting that. Tons of possibilities. Get creative. So, here it is. Go to http://www.stationhead.com or search Stationhead on the iOS App Store (Android coming soon). -Michael St. James is the founder and creative director of St. James Media, specializing in music licensing, publishing, production and artist development. 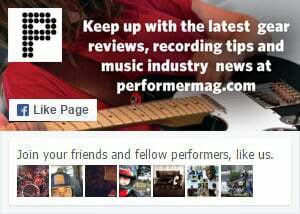 Next Story → Music Promotion on Facebook – Is It Worth It? Keep up the great work! I am a first timer. I graduated from Ohio school of media and can’t wait to further my career! Good luck to everyone and the only way to to obtain positive fan base is to be yourself. Thanks again on this opportunity!